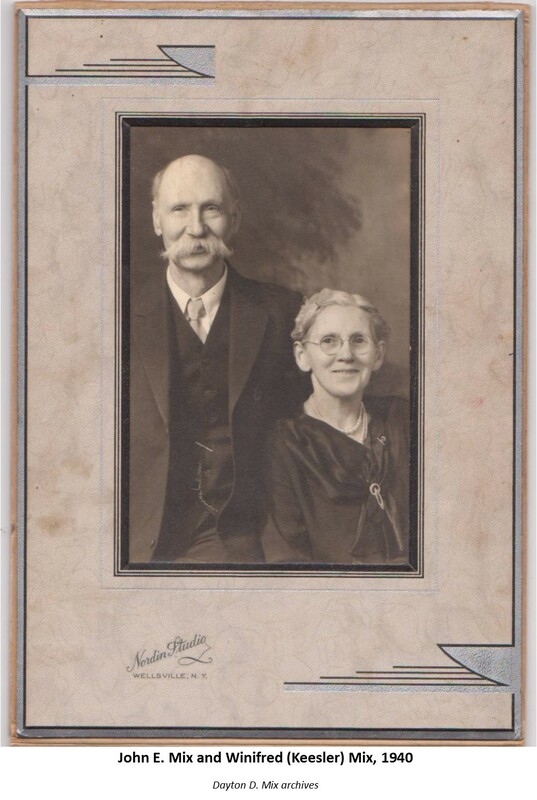 Today starts a series of posts sharing pictures discovered in the family archives of my great-great-grandfather John Elmer Mix. Born 150 years ago last Thursday (28 August 1864), he lived until 25 January 1951. 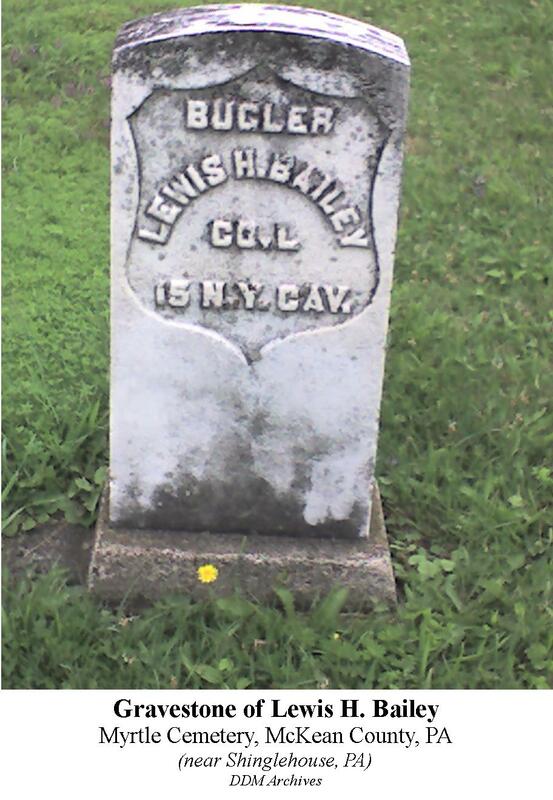 He lived his entire life in the Bolivar, Allegany County, New York area. 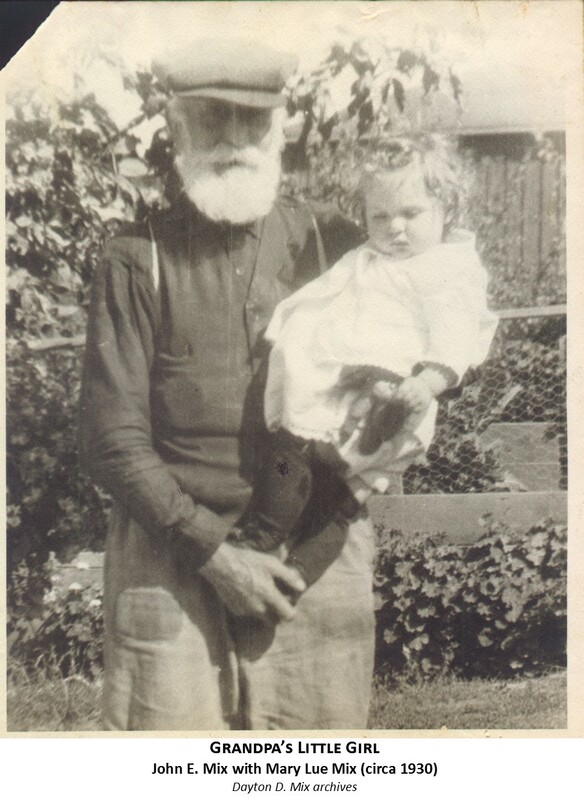 Today’s post is a picture of him with his granddaughter Mary Lue Mix. She was born in 1928 and looks 1-2 years old, so I’m guessing this was taken around 1930 or so. Co. K, 207th PA Regt. Officers. – Captain, John J. Reese. First lieutenant, John Karr. Second lieutenants: Thomas D. Elliott, W. L. Reese. Sergeants: Daniel A. Evans, Samuel A. Mark, Edson D. Mitchell. Corporals: Michael C. Campbell, Elijah S. Kelsey. Privates. – Daniel H. Brown, James H. Bellinger, Thomas Brainard, Simon Bacon, James H. Backus, Martin Bennett, Richard A. Brown, John M. Blackwell, William V. Borden, Frederick Campbell, Amos Campbell, Henry U. Cady, John Cole, Edwin Campbell, Thomas Crittenden, Luther S. Collins, Peter Champaign, James Carpenter, Chauncey F. Dartt, Charles L. Diminick, Lewis Deumaux, Jesse B. Doane, Hiram G. Davis, Reuben Dyke, John E. Dibble, Andrew J. Duryea, Darius L. Deane, James E. English, Richard W. Eliston, Samuel D. Evans, Edward English, Charles V. Goodwin, W. H. Harrison, Charles Houghton, Lyman Jaquish, Linas S. Jennings, Orlando Jones, David E. Johnson, Robert Kelsey, Charles E. Kelsey, Hiram Klock, Benjamin F. Kelsey, Lewis Kohler, Clarence Lloyd, Frederic J. Moyer, Eli Moyer, Thomas Morris, Joseph Morseman, James H. Morrison, Delos V. Miller, John Mosier, George McConnell, Elisha McCartny, Edward Osborn, Nathan Palmer, George M. Potts, James L. Plumley, Joshua S. Phenix, George E. Putman, William Putman, Arnine Reese, James L. Reese, Charles Stephens, Charles B. Sofield, Robert Satterly, John H. Schoonover, Samuel D. Satterly, Charles H. Strait, Alfred Schiefflein, Abram M. Sherman, John Snyder, Story Starkweather, George M. Tabor, Stephen J. Thomas, Charles Vanton, Benjamin C. Vanhorn, D. P. Whitehead, John Willard, Roswell Webster, Calvin West, Robert J. Wilson, Harley H. Webster, George P. Wilson, Elijah Warren, Asaph Wilkinson, Kenley Wilson. The 207th regiment was chiefly composed of soldiers whose homes were in Tioga, Bradford and Lycoming counties. Companies A, D, H and K and parts of B, E and G were recruited in Tioga county. Company C was recruited in Clinton County, F in Cumberland and Franklin, I in Lycoming, and parts of B, E and G in Bradford, York and Lancaster. The regiment was organized at Camp Curtain, Harrisburg, September 8th 1864, with Robert C. Cox, of Tioga county, colonel; W. W. Snoddy lieutenant-colonel, and Victor A. Elliott, of Tioga, major; and on the 12th of September it started on the front. It did distinguished service, particularly in the closing scenes in and around Petersburg and Richmond.